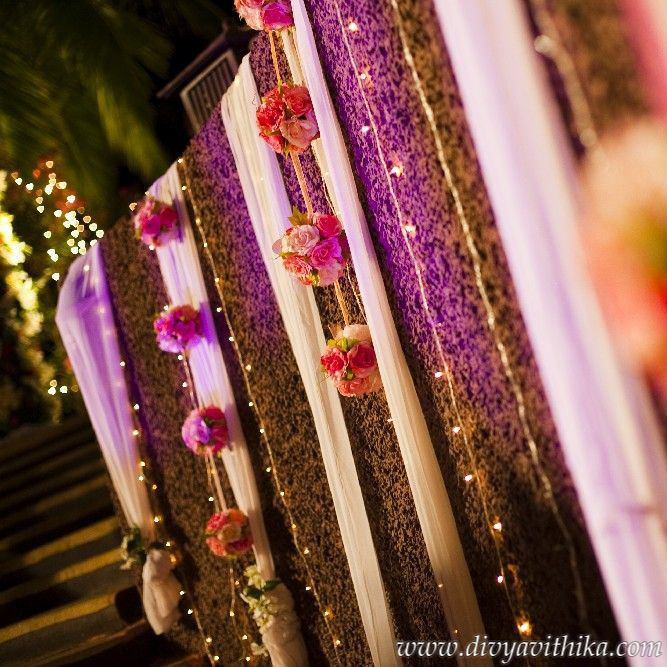 Divya and Vithika were very happy to be chosen by the Aradhya family after they had met with many other wedding planners. 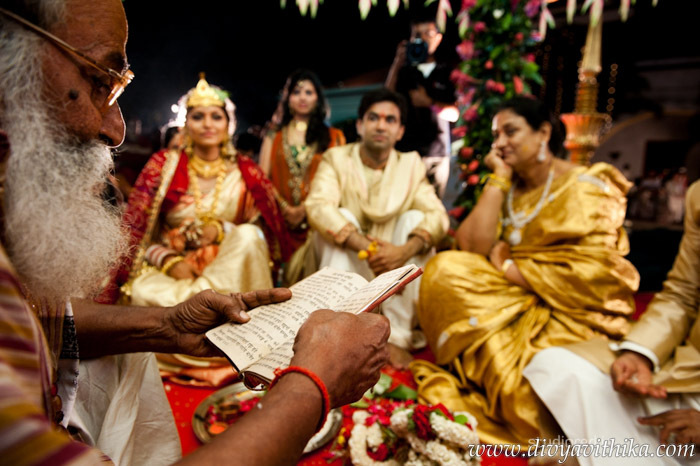 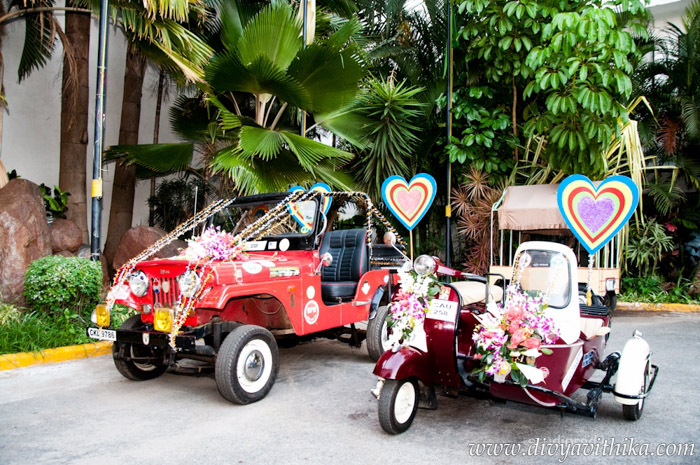 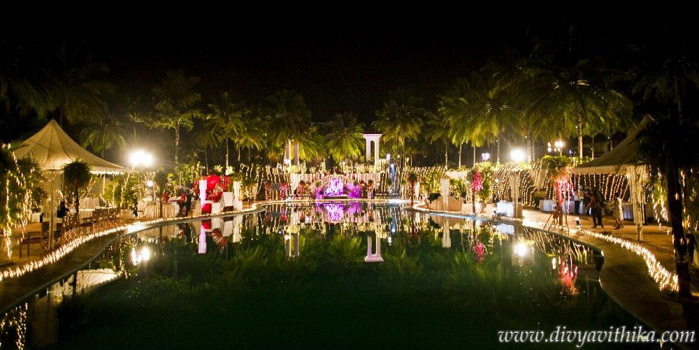 They worked closely with the family to plan their 1000 guest wedding held at the Golden Palms hotel, Bangalore in May 2011. 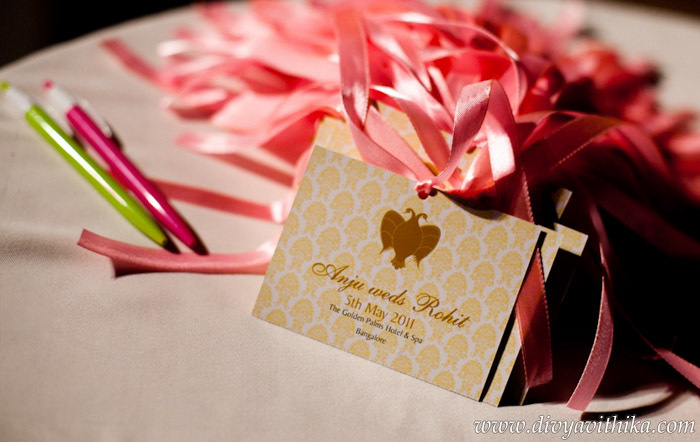 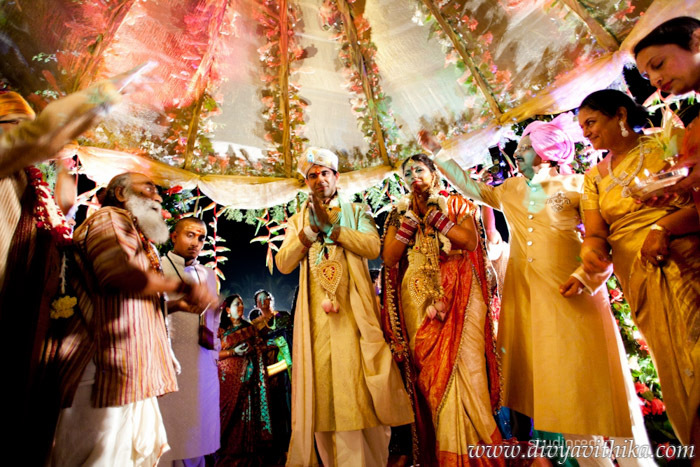 From a Mehendi ceremony in a Mathura themed environment to a cocktail evening themed after a formal white wedding reception, they worked with the family to create customized and memorable events throughout the 3 day wedding. 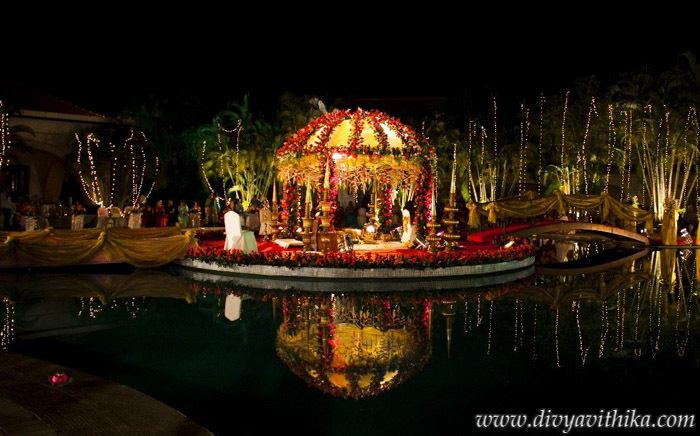 Their team sourced and managed a variety of vendors including clothes designers, wedding invitations, guest travel management, honeymoon travels, photographers, makeup artists, mehendi artists, chorographers, decorators and florists. 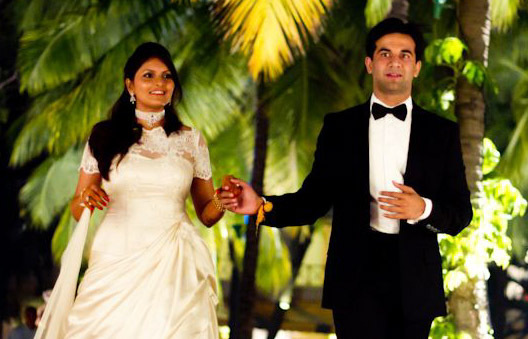 Anju and Rohit are both very charming people who create magic as a couple. 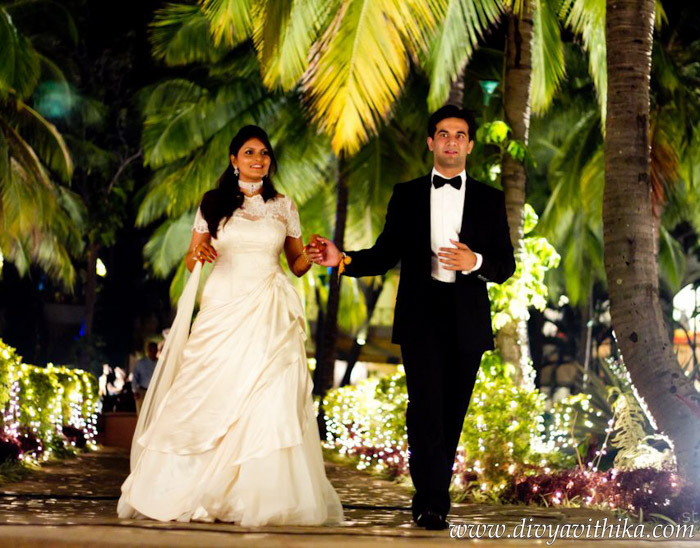 We raise a toast to their happiness.